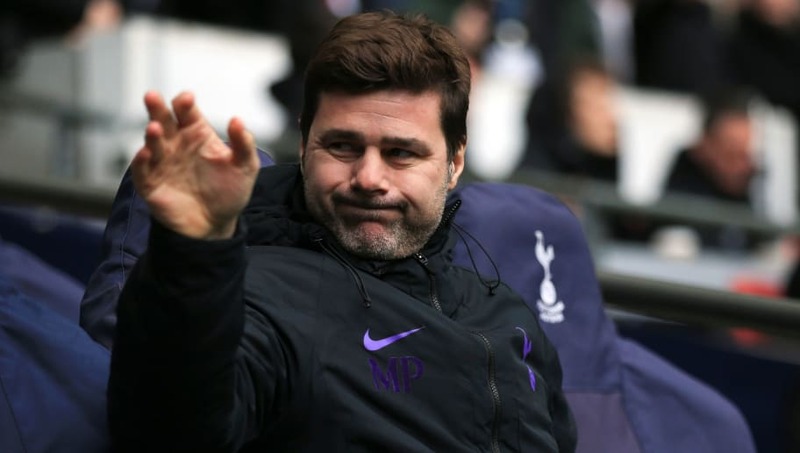 Tottenham manager Mauricio Pochettino criticised the performance of referee Michael Oliver, despite seeing his side overcome a spirited Leicester 3-1 at Wembley on Sunday afternoon. The Lilywhites sealed all three points thanks to goals from Davinson Sanchez, Christian Eriksen and Son Heung-min, but it was the decision of referee Oliver that caused the biggest talking point of the afternoon - with Son booked for simulation despite being seemingly felled by the outstretched leg of Foxes defender Harry Maguire. After the game, Pochettino was fuming with Oliver's decision - with the Argentine boss suggesting that he believes title rivals Liverpool have been the beneficiaries of some of the referee's more questionable decisions this term. "It was the same referee, but now I don’t know how he has measured the situation," Pochettino said, as quoted by the Mirror. “I am a person that always accepts the mistake, but I think it was so strange the situation today. It was so clear the position today with Sonny. I think it is unbelievable. I am more relaxed because we won the game, three important points we got, but so disappointed with the situation because everyone wants to talk about different clubs or players. Although Pochettino's comments did not relate to a specific incident, it's likely that he was referring to Oliver's decision to award Liverpool two debatable penalties against Arsenal earlier this season, as well as his decision not to award Spurs a penalty in the last minute at Anfield - in an incident that again involved Son. Despite his obvious frustrations with some of the decisions, Pochettino was pleased with his side's overall performance - though it's clear he already has one eye on Wednesday's Champions League tie with ​Borussia Dortmund. “It’s fantastic. Sometimes winning games when you’re not at your best. An even game, we conceded more chances than we normally concede. I have to congratulate the players,” Pochettino continued.